For more than a decade, our Junior World Affairs Councils (JWACs) have been a global triumph on local campuses. 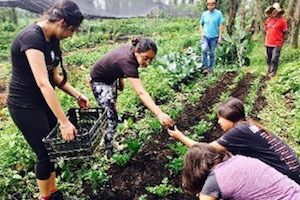 Our JWAC program has been linking students to the world since 2004. 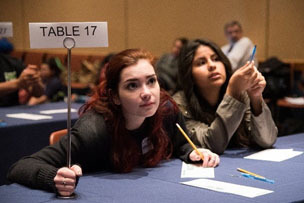 With more than 70 chapters in North Texas, JWAC is a great way for high school students to learn about international issues and become more globally aware. JWAC chapters can be started at any high school with students in grades 9-12 with the support of one of the school’s teachers as a sponsor. 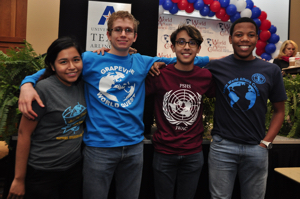 The Council will help you create a Junior World Affairs Council for your campus. It's a simple process with a $50 annual JWAC membership fee that covers a teacher sponsor and all of the students who are active in the club. 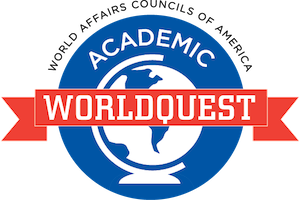 You and your students will travel beyond classroom walls and pages in textbooks to real-time, firsthand sessions with diplomats, dignitaries, leaders, authors and others who understand global issues and opportunities in business and education. JWAC is an extracurricular activity that pays off in knowledge and, now and then, scholarships, grants and study tours! Click here to download the most recent JWAC Orientation packet. Recruit a group of students interested in joining the club and a teacher sponsor to facilitate the JWAC. Hold an election to select this year’s JWAC officers. The JWAC sponsor must complete the Junior World Affairs Council Agreement Form. Create a membership for your JWAC by visiting this webpage. In the comments, you will need to include your school name and teacher sponsor. Please open link in Google Chrome or Mozilla Firefox. Register JWAC sponsor and up to two officers for the Annual JWAC Orientation on the GYL calendar, which is held every September. Contact Director of Education (amiller@dfwworld.org, 214-965-8415) with any questions. Check out the Student-Organized JWAC Activites.